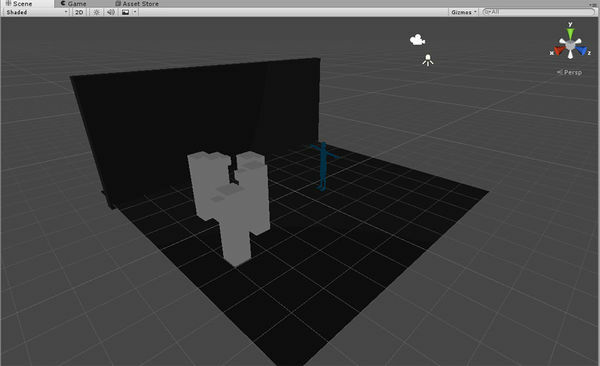 For creating anything in space, apart from clothing items, you will need to use the scene option in Unity. Scenes are where you place all of the game objects you are going to use for making regions, in world games or UI elements for space. To start a new scene, go to File, and choose New Scene. This will leave you with an empty scene apart from the main camera. You will want to add items into your scene which you will need and want for the item you are making. For example, if you are building a new region, you will want to add in terrain and objects for your region such as furniture, or trees, or buildings. When you choose a New Scene, you will want to make sure you save the scene for later changes. To save your scene, go to File, and click on Save Scene, or Save Scene As. You can name your scene, and save it to your Unity Assets folder. 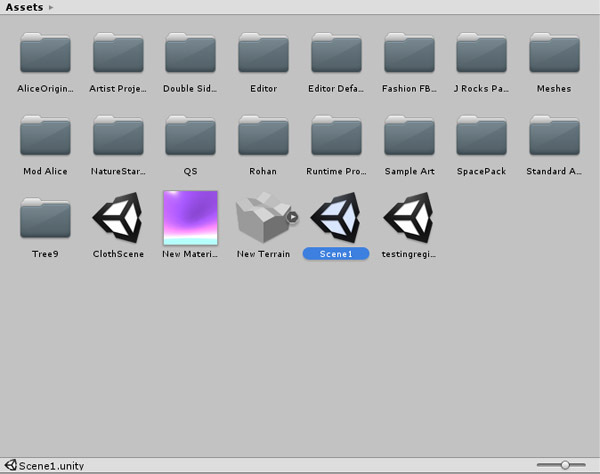 When you save it to the Assets folder, this will mean that the scene is in your project window and is easily found whenever you open your Unity project. 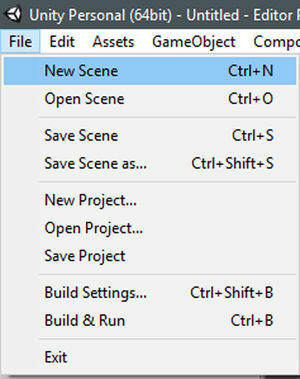 To open your saved scene, double click on it in your project window, and this will open the scene with all of the game objects you placed in the scene window.